While South Sea pearls are considered the pinnacle of cultured pearls, golden South Sea pearls are particularly coveted as this golden color is rare in other pearl types. These pearls are usually from the Philippines and Indonesia and command prices higher than any other pearl. Typical size of Golden South Sea pearls is 8 to 16mm; They are produced by gold lipped Pinctada maxima mollusk. 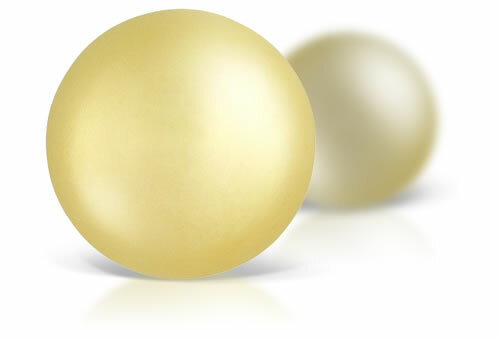 Golden South Sea pearls tend to be more spotted than Akoya. They have a thicker nacre coat compared to other saltwater pearls. If the pearl is drilled you can inspect the hole to look for bead nucleus.